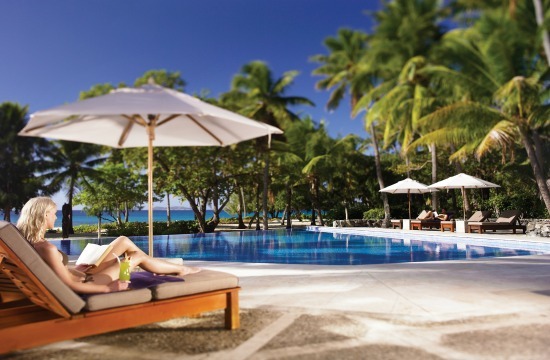 Want to know one of the most beautiful resort's in Fiji? 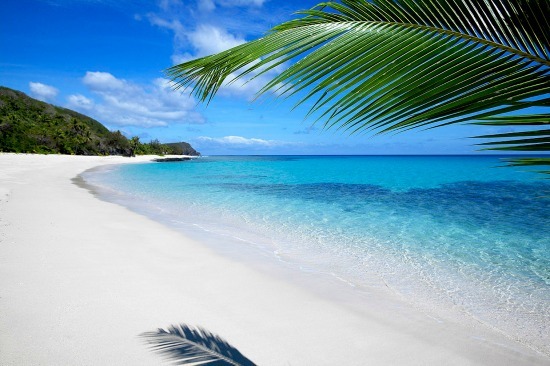 Discover Yasawa Island Resort Fiji located in a picture-perfect setting epitomising island paradise. 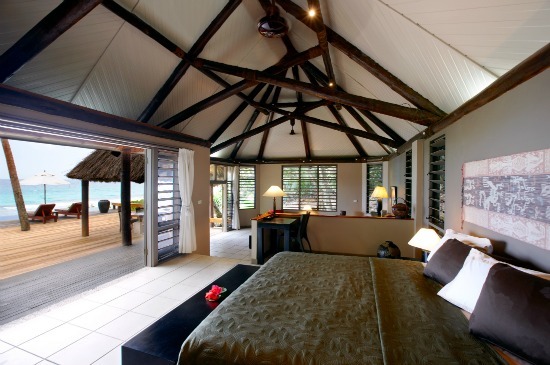 - Who does Yasawa Island Resort suit? 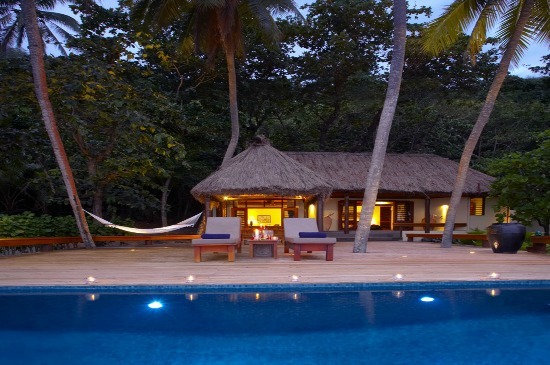 Who does Yasawa Island Resort Fiji suit? 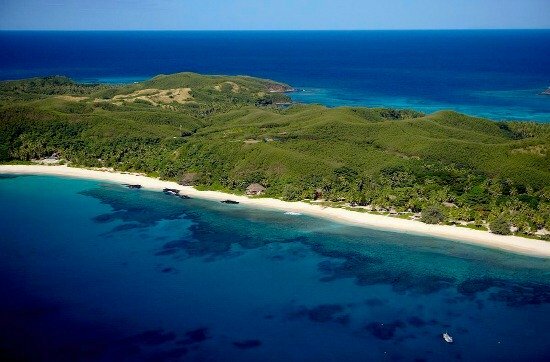 Yasawa Island Resort Fiji is ideal for couples/honeymooners wanting a luxurious isolated tropical island getaway. 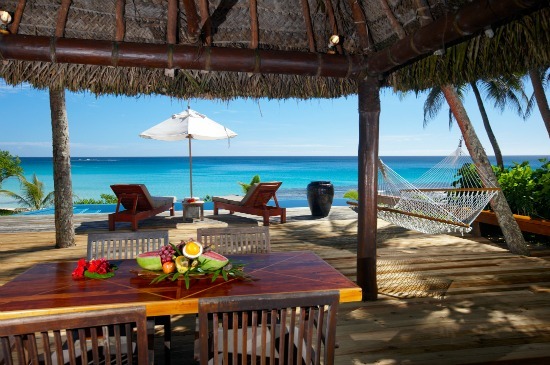 Tucked away amongst the most remote and culturally intact islands of Fiji is the sublime Yasawa Island Resort & Spa. Just 18 luxury bures (bungalows) share a stand of waving palms, each peeking out at a stretch of pristine white beach on an island overlooked by the modern world. There are no other resorts, no televisions, no traffic and no mobile phones. The only neighbours are in the Fijian villages nearby, including one of only two remaining thatched villages in Fiji. Each air-conditioned bure at Yasawa is superbly fitted in contemporary Fijian style - local timbers, traditional art, thatched roofs and timber plantation shutters. Each has its own thatched beach hut, a pair of outdoor day-beds on a spacious sundeck, a discreet outdoor shower and a hammock strung between the palms. 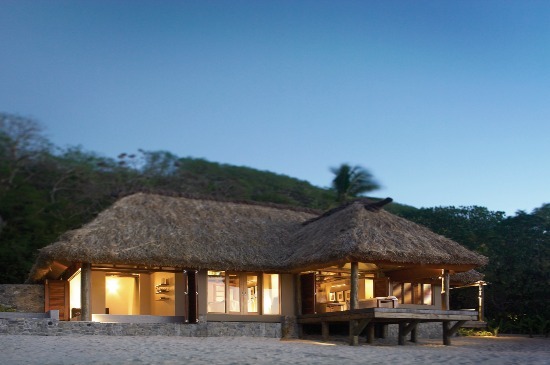 Dining at Yasawa is an experience in itself - superb contemporary food with an emphasis on local seafood. Lobster plucked from nearby reefs is a specialty, while the wine cellar is arguably the best in Fiji. True to exotic island form, you can just about pick your spot anywhere to have your meal. All meals wherever you have it, is included in the price. Even the remote beach picnic. 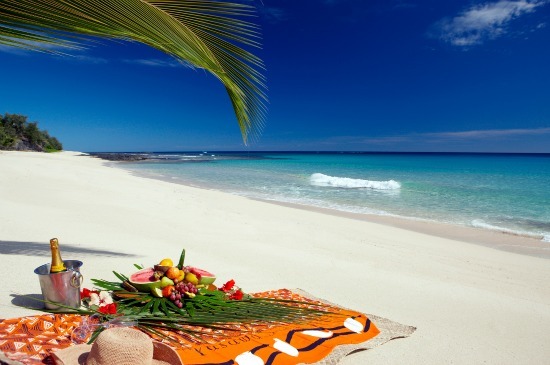 Fancy a private beach picnic? This would have to be one of my favourites. You can choose your deserted beach (11 to choose from, check the map below), jump on a boat to your beach with your picnic and champagne, and spend the day in privacy exploring the wonderful nature... or each other! 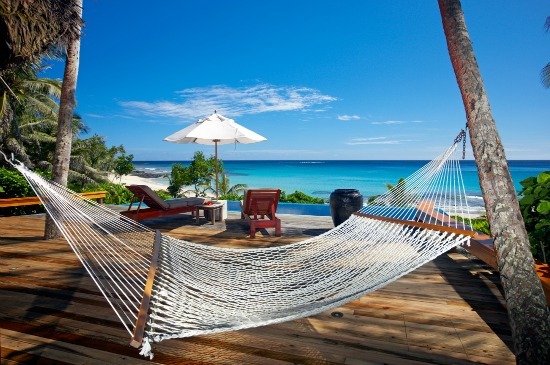 Given Yasawa Resort's exotic location on a tropical far-flung island, you are in prime position for doing absolutely nothing but relax amongst your peaceful surroundings. All are included in the rates except for diving and sportfishing. Try the beach front Baravi Spa, offering time-honoured health and beauty rituals in a spectacular setting open to the sea breezes and the soothing rhythms of the waves. Specially designed treatments combine traditional Fijian essences and aromas with internationally acclaimed products to relax, calm, invigorate and balance the body and soul. Few weddings could be as romantic and evocative as those at Yasawa Island Resort and Spa in one of the remotest and culturally intact parts of Fiji. 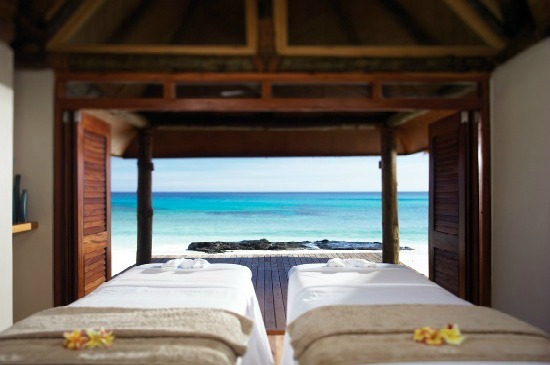 Absolute serenity, complete isolation and a setting in paradise. A wedding on Yasawa Island is a marriage of the senses. Take your vows in the shade of the palms, on the sands of a deserted beach, before a tropical sunset or under the southern stars. No decision is needed until you get there. Add to this the warmth and sincerity of an unspoilt island culture. Invite the choir from nearby Bukama village for the most sensuous of Fijian voices. Choose traditional decorations for an array of brilliant tropical flowers and salusalus (floral leis). Select traditional Fijian dress, summon a guard of Fijian warriors or conjure a celebratory feast. The affair is yours to command - be as elaborate or as simple as you like. The emphasis at Yasawa is on ease. A standard wedding package takes care of everything - the license, the village minister, decorations, attendants, choir and set-up. Yasawa's staff will even take you to the registry to obtain the wedding license. Add any extras you might like - photography, a bouquet of tropical orchids, a tiered wedding cake. Choose and it's done, leaving only one more matter – spending your honeymoon in paradise. Fijian weddings are internationally recognised and legally binding. If you want a remote peaceful picture perfect destination, as you can see from the photos, Yasawa Island Resort Fiji is pretty hard to beat. 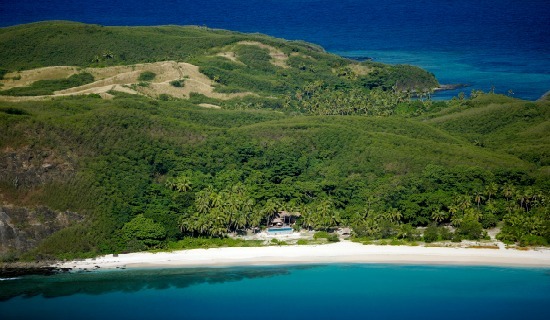 Yasawa Resort is situated on the remote and unspoilt Yasawa Island, at the top of the Yasawa group of islands. It's only island neighbours are a few traditional villages with no other development on the island. 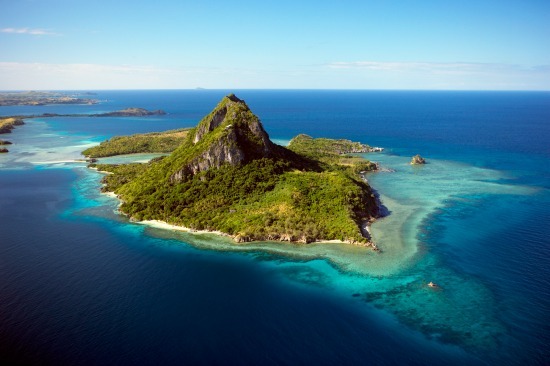 Firstly, you need to catch an international flight to Nadi International Airport in Fiji. As island paradises would have it, Yasawa Resort is only accessible via a small charter plane via it's exclusive private grass airstrip. The transfer from Nadi International Airport takes 35 minutes. There are 11 private white sandy beaches on the island, which you can choose to place your towel (and champagne picnic basket!). Additional costs include transfers, alcohol, spa, diving, and sportfishing. Contact our reservation and enquiries team for reservations or for more information to secure your place in absolute paradise!